Moving away from our blog format here, to posting ministry on FACEBOOK, where you will also see my personal family interactions. Please FRIEND me as you click through to FB below and look for more frequent postings about what God is doing in our ministry life around the globe. As always, thanks for your support and love. What can I say after this amazing trip to Mexico but, wow what a privilege and honour that God should send me to such poor and isolated but wonderful children. We went to at least two villages we know where the gospel has never been before. It was a fifteen-hour car journey from the boarder with the States to Sierra Madre Mountains where we were in some of the most breath-taking scenery of majestic forest covered mountains and valleys. As we traveled from village to village only when there was a break in the trees could you see that the road was right on the edge of huge high mountains. After the journey almost straight into the first meeting. I visited this church last year where the building was just a tarpaulin over a pole. We moved all the children to the front as mothers and grandmothers often came to the meetings with the children. Over thirty children responded for salvation and this year we improved meeting. After I had finished all God gave me to do then my missionary friend would come and give a short exhortation to the adults and then invite them to receive Jesus and everywhere they responded. He said he had to say little to the adults as God had laid it all out clearly for them as the children were taught. The next meeting held in the centre of a little village they told me later was the first meeting of a new church plant. This was one place where the gospel has never been before, and twenty children responded for salvation and at least two you could tell on their faces after prayer that they had definitely met with God. The final meeting that day was in the village where last year the children’s meeting was the first for a new plant and this year there were around twenty adults who have joined the children during the year. Sunday morning, we didn’t go to a church building but drove three hours to a square in a town surrounded by little houses and trees in for shade. Over fifty mostly un-churched children gathered all standing scattered and squashed like sardines to get into the shade and over twenty-five children responded for salvation where again you could pick out those who had really met with God. Sunday night was very special, after an hour and a half’s drive we came to a small scattering of houses near the top of a mountain. As we drove in children came from every direction running after us until we came to a simple little church building. With over forty children gathered, we understand this was most of the children in the village. They were like hungry lambs sitting wide-eyed taking in God’s word and then all but forty responded for salvation. Here the pastor was so excited and thankful when he saw God moving and didn’t want us to go. But insisted we left with a gift of a bag of big juicy mangos for the six of us, picked fresh from his trees, much like the widow’s mite. Another place, a church only five months old and thus far only four or five gathered. There were twelve children and just about as many adults there that night. Every one of the children responded and when they looked up from praying they were laughing with joy, a sign this was God as no one told them how to react after prayer. Here God gave me a word for one boy, I told my interpreter and said this is the one and she said I know God told me. We found later he is the son of a musician who came to help us. We Thought We Were Lost!! I finish the mountain ministry with an amazing case of God ordering His way. The day we arrived in the mountains we got lost and were in fact going down a rocky road on the wrong side of the mountain. The pastor asked a local man the way and he asked what we were doing there. When told he said, “down there are five communities with no churches and some very bad people who need you”. So, the day before we left we went down to that place and had a meeting which was the first meeting of a new church. That was an adventure, first the pastors’ van, a big old American thing got stuck trying to turn around. Just imagine, you have a solid wall of rock behind you, a drop of thousands of feet in front of you and all you are doing is sliding! We got through that and halfway there our vehicles tire hit a sharp piece of rock and there was an instant blow out. We all piled out and into the pastor’s van which had a solid wooden bench running along the sides to sit on, no windows and 50c heat outside. We arrived somewhat saddle sore and cloths soaked from head to foot with our own sweat. (Someone didn’t want us to go there!!) We stopped on the road above a cluster of houses where there was a big tree for shade and set up the van benches under the tree. The children and adults were really scared of us to begin with, they peeped around the bushes but the moment even the Mexicans went towards them they ran away. So, we started up music and singing and slowly they began to come out of hiding led first by an eleven-year-old boy called Daniel. Three of us believe that, that boy is going to be a key person in God’s work there in the future. Finally, twenty-five people of all ages sat before us and I shared a simple gospel message using the side of the van to stick my whiteboard too. These people had never heard the gospel before and they all sat spellbound listening and watching every stroke of the markers. At the end all five children responded for salvation and one teenager. No adults responded (a little child shall lead them) but one man afterwards said he liked what he had heard from the bible and he wanted one of his own. Needless to say, Daniel was the first one to put his hand up and on his feet at the front to be prayed for. The final meeting of all, a family service in a Mexican church in Laredo, Texas (still needed my interpreter). I asked for the children to stay in the Pastor said fine and good luck with that! There were twelve children who a lot were bad during worship but during teaching they were faultless and all twelve responded plus two adults to be filled. All but one child (youngest) and two adults got tongues. Before the meeting, God gave me a prophetic word for an eight-year-old boy, as I thought of the word and saw his behaviour I thought have I made a mistake? He is number three of four brothers who were all trouble plus, church members went to sit with them to no avail, the pastor’s wife took this boy and sat him by her where he spent the worship time making rude signs behind her head. My hopes rose during teaching as he sat glued to every word, he definitely had his eyes closed when he put his hands up to receive. All the children freely put their hands up but couldn’t stand but this boy was the first to finally stand and then the first to speak in tongues. As I shared the word his eyes watered, and tears flowed down his cheeks. Afterwards, he worshipped with the church, again his eyes watering. When we asked his name he said Jim, but everyone calls me Peter (Prophetic). Later the pastor told me more, the boys have no father, they live with their mother in an apartment complex. The pastor’s wife collects the boys every Sunday for church but this last week she said she wanted to stop as all they do is fight and mess around in the meetings and Jim/Peter is the worst behaved of all. The pastor said let’s wait until after this Sunday when I was there and pray God will change them especially Jim. Sunday, he said God answers see he is weeping before God. What the word said and the above I felt like Ananias who God sent to Paul in Damascus to set him free and commission for ministry. Here was Jim /Peter a Paul for our time. Why me Lord, what a privilege. As always, thanks for keeping up with the ministry and for your support. I am thrilled to say that this trip has, like the other ones, been brilliant and different. I have been going to Japan for thirty-five years making thirty-seven visit and meetings have always very been small. But right back from the beginning to now I have always believed that one day I would have big meetings in Japan. Now praise God I am beginning to see it, the children’s and youth day meetings had the biggest attendance ever. It has been a long time of hanging in and not giving up to now see God is doing it. We began with a series of very small meetings that were not in my usual age group, but everyone was so hungry. I had two meetings ministering to a handful of elderly ladies who are being taken through the basics of salvation and two Bible study meetings and they were like children soaking up every word. One small church which is right out in the rice fields, it takes three hours and three different trains to get there for a ten o’clock meeting. They tell me that I am the only guest speaker they ever get so they look at my message as God giving them direction for the year. I can only say, that I am humbled to think they give me such an honour. They have seven children who when I first went were well under my age group but now are well inside it. They all including children want prayer and ministry after the teaching. The first Sunday was in a church that took an hour’s drive away. The pastor I have known since he was fifteen and now he is married with twelve children. While we were waiting for the service to start a boy called Joey, an American/Japanese sat beside me and began to open up his heart to me. After the meeting, his second older sister asked for prayer and ministry. Later in the week, I had an afternoon in the Christian School connected with the church and Joey was there. He used to attend the school but doesn’t now, he was there that day for his protection. He lives with his father, grandparents and two older sisters. (Grandparents are the ones who make him go to a regular Japanese school). His mother is in the USA suffering with mental problems. The night before I was in school his mother turned up at his home unannounced where his grandparents refused to let her enter. She did this before and kidnapped the children taking them back to the States and hopping from motel to motel avoiding the police for six months. The police caught up with her because a friend found the children alone in the motel room while their mother spent a night on the town. The friend saw a flyer on the table that the pastor in Japan had circulated in the States which had his phone on. The friend rang the number and was told to call the police immediately while he put their father on the next plane to the States. Fearing she might try the same thing again and could easily intercept the children in their regular school so dad sent them to the Christian School where the pastor could protect them. In God’s planning, I was there that day and Joey responded for prayer, so input to him continued. All four children and their father attended the children’s/youth day, so I was able to minister and pray for them altogether and pass onto them a prophetic word a friend of mine in England had sent me. My friend had no idea what it was about, but I knew immediately and who it was for. I feel so honoured that God put me in the right place at the right time to help serve that family in need. The school has twenty-four pupils ranging in age from pre-school to high school. One five-year-old who is very hyperactive was kept out while all the others sat spellbound including one autistic boy who usually doesn’t sit still. At the end, only two didn’t respond for prayer and one of those is a handicapped downs syndrome. There were over fifty who were with us all three meetings and then others who came to just one or two meetings. Over the whole day we touched over seventy lives and having that number in Japan is equivalent to having hundreds anywhere else. Five churches were represented and not all were active spirit-filled churches, but everyone was so hungry for more that they, as it were, soaked up every word like dry sponges at a desert oasis. Some of the teaching times were long but they didn’t notice I believe that they would have taken more given a chance. It was two hours after we finished the final meeting before the last ones left they wanted to soak up the atmosphere. I felt to have invitations for prayer after the first and last meetings after the first about three quarters stood and the final one only two or three didn’t respond. Then when I finished not one had sat down they just continued to stand, soaking in the presence of God, eventually, I told them to sit down. Sunday family service in my host church, the children on the front row were taking notes, drawing my drawings. At the end, it wasn’t a big response, but the needs were deep-rooted. The church has a lunch together every week and it takes time to clear the chairs and to set up to eat. I didn’t finish ministering and praying for the last one until well after the others had started eating. They were all adults except for a nine-year-old boy called Yu who was adopted when he was two and a half. Those first years he spent with a mother who had physically abused him. I noted him before the meeting being rebellious and with violent actions of his hands and arms towards anyone who told him or tried to get him to do anything. His mother tried to get him to sit at the front, but he was not going to sit anywhere except on a chair on its own behind the back row. There he sat perfectly still and listened to every word. (I was told that was a miracle, normally his attention span is only five or so minutes) His mother dragged him to me at the end and while explaining his background he was fighting her to get away. To pray for him like that would have achieved little but even with the rebellion I had seen and was seeing I felt strongly to get him to sit. I gently took hold of his arms my hands weren’t closed so he could pull away easily if he wanted. He didn’t resist but let me sit him down, I then laid my hands on his head. He sat there completely peaceful without moving the whole time I was praying; his mother was in tears the way he was responding to the spirit of God. He will need a lot of ministry and help but I believe that he literally experienced the love of God in those moments. Onwards to Malaysia and a mixed bag. I was asked to speak at a children’s church on the Holy Spirit and tongues but not told the leaders expected me to do it by puppet’s and clowning. You know me that is not in my ability neither is it the way I believe I should teach the word of God. There were forty in my age group and ten four and five-year-olds I allowed to sit at the back with their teachers. At the end, the leaders all marvelled at how everyone sat so quiet and still the whole time including the little ones. Of the forty thirty responded but most said they were not sure if they were Christian’s so we dealt with that first then onto the Holy Spirit. Almost all spoke in tongues, by now I was running twenty minutes late. I did feel I had a word from God for one child but thought the better of trying to say it so handed back to the leader. She said a few things then turned to me and said are you sure that you have said all you want to say. God was having His way, so I shared with the child. Now in spite of all of that later that leader said but God was not in that meeting. Clearly, God only turns up when we entertain!! The brilliant bit, in a different church I had an in-house day of seminars for children’s leaders. Fifteen very hungry and open leaders came and took every word even though some was very new to them. They asked very honest questions and though admitting that some that this was scary they wanted to go ahead and do it with their children. The next day I was speaking in their children’s church and again given the subject the Holy Spirit. There were about thirty very live wires before the meeting but while I spoke you could hear a pin drop including one hyperactive boy who had been climbing up the wall earlier sat still. Then later when prayed for he burst out in a beautiful tongue, nothing is impossible to God. All but one responded for prayer and most spoke in tongues very quickly. The leaders were bouncing around like rubber balls afterwards and excited to take the children on from here. Thanks for your support, as always! Trip number two for the year and this one was very different. There was the continuation of God moving in a new way that we have seen for over a year but also big change and sadness. An apt picture of this trip I think would be a trip like a bitter sandwich, two pieces of good fresh bread and a filling of burnt ashes. In a young teens service where the church has completely separate meetings for different age groups running simultaneously. I would say there was thirty to forty hungry teens there. They had an amazing time of worship where you could see and feel the Holy Spirit moving among them and I was able to flow in on that and see the Spirit continue. The teens were so hungry they were drawing the word out of me so when it came to the challenge for prayer everyone was on their feet. While my Japanese ministry team moved among them ministering to them I was able to share prophetic words with two after they were prayed for. The school in the slum where we have ministered for five years and I refer to it as the place where hidden away we are building a great and mighty army for God. Sadly, things have changed there and to cut a long story short God has been kicked out of the school. What a situation, what were we to do? Every one of us felt for the children’s sake we should go ahead and hard as it was TO not use the name of God or the bible. I was reminded by a friend that our mouths are gagged but not our hearts and the children have enough of God they will feel what is in our hearts and respond to that and God would do the work in them. Each day we had two school years of children so every day we had children who had been in our meetings before and received Jesus and had hands laid in them many times for different things. By the time we got to years five and six, they had been with us all five years. It felt like we were walking through burnt ashes but when we looked more closely there were little shafts of light bursting through the ash from the little diamonds saved by God. Day one, two years ago we gave everyone in the school a t-shirt with the words revealing Jesus in three languages written on it. 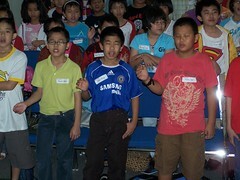 One boy didn’t wear his school uniform that day but wore his t-shirt. As soon as we walked in his face beamed and he put his thumb up. He sat glued to every word and looking at his face you could clearly see what and who is in his heart. Day two, one boy came wearing his Jesus t-shirt under his shirt but as soon as school was over he took off his shirt revealing his t-shirt. During the break, yesterday’s children discovered we were in school so two boys, one who wore the t-shirt, and another skipped the rest of their lessons and joined in with us. I should really have sent them off, but I couldn’t find it in my heart as they were so hungry for more. Day three, now with the oldest ones but still one girl whose face told she belongs to Jesus she came wearing her t-shirt in the open. Then in the break four boys and two girls from the classes the day before found us and they skipped their lessons to be part of us. Examples of the many little diamonds God has in that school. We must pray now that like God sent the raven to feed Elijah during the famine, so God will somehow feed these precious ones during their spiritual famine. Don’t let any be lost Lord because of man’s wrong decisions. Out of a chance meeting by one of the team came a last-minute opening into another Christian school, one not related to the slum school. This one caters for those on the opposite end of the spectrum, the wealthy ones. We had all of the primary children as the principal said, the older ones often get a visitor but the young ones never do so as my ministry is to children they could have a treat. Afterwards, everyone was happy and later we got the word that the school is open to us next year to do as we like. In fact, it seems that some of the children want me to be offered a job there so that I could teach them all the time. I am honoured with the compliment, but!!!! The final meetings, a second meeting with the young teens I ministered too earlier in the trip and a supposed youth meeting in another church which became a family service. God moved in freedom there and many responded easily for prayer. Then a bonus on the final Sunday. A group of youth had joined us from another church for the Saturday night and then their pastor asked me to preach at his church. A brilliant time was had and God gave me a word for one boy. Here begins a New Year and as always there’s the thought “How can God ever do anything greater than he did last year”? This year the thought was even harder as last year was such an amazing year where God did way greater than I could ever ask or think. But as I am sure you can guess, He went and did greater with among other meetings four children’s conferences in three weeks. Tasmania, Tamar Valley The scene was set beforehand when I met one night with the intercessors and the next the young leadership team. The young leaders were open and honest as they prayed for each other, so they set out a clean and anointed team. Zach who we have been following has had a very tough year but hung in and excelled in his ministry during the conference. We had seventeen including the ministry team of five (they were responding for themselves as well as ministering). The presence of God was so strong every meeting and you could hear a pin drop as the children literally soaked up every word. All but one responded every meeting even though the challenges were tough one’s fitting into the theme of; Having a pure heart, keeping it pure not defiling it with sin and living to please Jesus. We literally saw children change in front of us. The final session on day one had them kneeling at the front before God, something you expect for the end of a conference not half way through. The young ministry team were kept very busy, but they loved it and as the pastor said in the Sunday service they grew in maturity and oneness as a team. The oneness was beautiful to see, they prayed individually but when the last in the line was prayed for and others were still praying the who had finished joined the ones praying so no one had finished until the last one had finished. We saw sign’s following the teaching of the word. I mentioned that as the children live out the theme miracles will happen without asking. A girl came to the conference limping on a very painful ankle which she had had for weeks. She just opened to everything and by lunchtime, she was completely healed (No one prayed for her), running and jumping on that foot and still was days later. Tasmania, Hobart Another very hungry group of eighteen with more young teenagers than children. The same rapt attention and the first day all but one responding for prayer every time except for one but he has had an exceptionally tough year. Day two, the first sessions less responded but the challenges were tough, and I was glad that they were really thinking before responding. The final meeting again all but one responded to be filled or get back tongues and all, but one did flow beautifully in tongues. One boy who was filled last year but didn’t get tongues this year instantly we prayed he flowed in tongues and looked up with a glow on his face as did the others. Tasmania, Scottsdale A very special little conference with just four boys aged seven to thirteen, but they were the hungry ones. They were hungry too, I could literally feel them drawing God’s word out of me, a very unusual but wonderful feeling. Then you couldn’t keep them down when an offer for prayer was made. I also felt very strongly that God is saying to them that they are all trainee leaders. Sunday in the family service the boys were my ministry team and the youngest boy came with a scripture God gave him for the meeting and he was spot on for what I was going to share. Jayden the oldest boy, he last year told me he would love to preach but only had half a message. No problem he preached his bit and I did the other half. During the year he has gone onto preach full messages several times and he sings in the church worship group. Mainland, New Gisborne with fourteen children. With the theme of water, they were full of life during activities and free time but glued to every word in the teaching. The spiritual theme going deeper in God and by the end, I think everyone responded to something and most responding for everything. When I prepared I had no idea that there would be a little group there who are about to go to High School this January and the teaching was just right for them and what they could face. I laid out clearly God’s way ahead and they all said yes God we want to do this. Two boys came aged about eight and ten and not from the host church. They, re so ultra-shy they literally clung to their mother like glue the whole time. In one session they stood for prayer which was a huge thing and breakthrough for them. I watched, and it wasn’t mother who sat between them who said or did anything to get them to stand, this was completely their own choice. Sunday morning, I went out with the children which was their final meeting of the conference. The children were so hungry for God that no one including me noticed that my teaching went on longer and so we finished after the adults did. All but one responded for prayer which was to make a final commitment to all God had said and a promise from them to go out walking with God and with the Holy Spirits help to work out the things He said. Mainland, Diggers Rest There was also a follow-up for three children who attended the children’s conference the weekend before. Two girls around eight years old became my ministry team. God has spoken to me about them during the week as I prepared so the only notice they had was ten minutes before the service started. Their response, without stopping to think, a big smile and a yes. They were brilliant, praying so loudly that everyone in the church could hear. Because of this, I knew that they were praying from their hearts and what God was telling them to say. As usual, I started with a few days visiting friends before going onto Indiana. Then the first tweaking, normally I arrive in Sheridan on Saturday but for some unknown reason to me, I arrived Friday. So I attended a prayer meeting that night which I have never been to. The leader there got excited about my ministry and to cut a long story short. He heard me speak on Sunday and by Monday I was invited to take a family service in his church on Thursday had lunch with both the leader of the children’s and the young teen ministry. This was good news to me as I’m always looking for God’s hand of favor and an opportunity for a new gathering of children, hungry for God. The children’s teaching week in my host, usually God homes in on one or two specific children for the whole week. But this time it was a different child each night and strongholds in lives where broken as God worked. Ricky who I shared about in July’s report had his prayers answered again. He was with us as usual on Monday his grandma’s day off where he became the third youngster I am training for ministry in that church. Then on Thursday and Friday, his grandmother got through her workload extra fast so could do the four-hour round trip to get him there. Thursday, he was due to have dinner with his unsaved grandpa which is a highlight of his week, but he asked grandpa if he could can so that he could be in the meeting to which his grandpa readily agreed. The twins (again I gave their details in July’s report) by an intervention of God were both with us for three of the day’s. Keagan the semi-invalid still walks without his frame and callipers. Kaidan when it came time to go home to his mother he got very upset, so his mother agreed for him to stay with his twin until Christmas to which Keagan shouted out “God answers prayer again”. There are strong indications that the boys will be able to stay together permanently one being Kaidan has a weak bladder and often bed wets. When being cleaned up marks were found on his body which he says are from the whipping he gets for bed wetting. Kaiden’s face is still radiant from when he became a Christian in the July meetings where it instantly changed from the sad expressionless face he came with. Monday night was his night for God to home in on him, then he responded for prayer. Abby also had her night, she is a very mixed up little girl with a terrible home background. She opened like a flower in spring her face likewise completely changed. The final night was awesome, our biggest attendance and a big reunion. Ethan and his siblings were with us, they live too far away to be with us all the time. The presence of God was so strong, you could visibly see Him working in each one making loads respond at the end. It was a thrill to see for the first time all three trainees, Ethan, Andy and Ricky standing side by side ministering to those who responded. For the second time, I ministered to a group of non-churched young teenagers in a coffee bar outreach called The Bridge. I prayed quietly while the leader went through what he had to say as the youngsters were backbiting, shouting at one another etc. The moment I spoke the first word the Holy Spirit came, and you wouldn’t think these were the same people. They were completely and utterly still their mouths never opened once and they followed every word. Afterwards, two of them told me details of what I had taught in July. During the meeting, I had already felt that God was working in them but this was not their time to responded. My final week in the Christian School where I had a precious time seeing God pouring out the oil of His Holy Spirit in every class with only one slight exception. One of the high school classes has a “pastor” for teacher and he doesn’t believe that certain parts of the bible are relevant today. But had those He touched anyway. I spoke in every class every day except for one. That day a teacher was off sick, and I was given her classes as well. Instead of me going into every class I was housed in one room all day and the children brought to me. Usually, I get breaks of different lengths between classes but this day I had five minutes enough to get one class out and the next in. Needless to say, I was tired at the end of it but fulfilled and thrilled at the extra opportunity I had to build into their lives. They were wonderfully responsive and open to respond for prayer and there was yet another special presence when we prayed for them. From the first meeting which was with a home group in Haugesund, I visit every year to share what God has been doing as they are a group of faithful friends who pray continually for this ministry. I also learned something there I never knew. The couple we stayed with who have known for twenty-eight years. Kristi ran the children’s ministry and I always thought that we were friends working together who had the same heart and vision for children. She shared that I was her mentor, I can only say this was a natural God-ordained relationship that He put together and we just did without putting any labels on it, surely that’s the way it should be. One of the main events, the annual Stord Bible Centre family camp is best described by one of my friends who said, “it sounds like heaven.” It’s a busy but fantastic time with the children and youth separated for teaching and me doing both one after the other. The first night the meeting, just for introduction was from zero to ninety-nine years. The following six meetings was this touch of heaven, a presence I couldn’t describe in words but I had never felt anything like it before. The children and youth couldn’t be faulted on their stillness and attentiveness, hanging onto every word. The children found their own level, there was a group of eleven, twelve-year-old girls and a group of four younger boys. After the first meeting, the girls switched to the youth meeting and found their place there and received there, best to be where they can receive most. So, for most of the camp, we had a boy only meeting. The final meeting was very special, I hadn’t planned to speak on the Holy Spirit but I am glad to say that God did, He knows what I don’t. While teaching God steered me to the Holy Spirit and all four wanted to receive. With eyes closed and sitting all four put their hands up at the same time but one, he shot both up as high as he could get them then pushed down on his feet to push his body upwards. You could say that he was desperate to receive. All received but none spoke in tongues, I waited, I encouraged, I waited, still nothing then suddenly out of the blue they all began to speak at the same second no way were they copying! Then they didn’t want to stop in fact two were talking away under their breath in tongues while I was going through the does and don’ts of tongues. The boy who put both hands up is a walking miracle, he was born with a hole in his heart which the doctors thought was small. At the age of three, they decided to operate as he had little quality of life only to find the had a very large hole. Before I knew this the pastor and I had discussed that we both saw a strong anointing of God on him and God gave me a word for him. The youth I felt this time was to be just a time of teaching for them. The last meeting God gave me prophetic words for two, one of the older youth, Hans Christian I had seen that his mother was sitting in at the back that meeting. As I shared with him I saw she was in tears, later over dinner she told us why. Evidentially two years ago I had, had a word for him the gist was that he would go through troubled times but God would be right there with him every moment. She said he gets on the bus every Friday going from his island to Stord for the youth meeting. Goes to church with the family every Sunday without question but he is going through the troubles right now. The gist of the word this time was of God’s reward to him and promised leadership in the natural and spiritual. The next weekend owing to a cancellation and then a moving of an appointment God had me stay another weekend with the Stord church which it soon became clear that He wanted to conclude the camp in the church. On Friday, we had a youth meeting where most of the fourteen there were at camp and this time God said to make an invite for prayer. All but two of the youth and all the adults there responded. It was a very special time — a bit of heaven again. Saturday night I had two sessions with youth on the Island of Halsnoey. There just three came but one was the pastor’s niece who was at camp and she responded for prayer in that meeting, God also gave me a word for her at the end. Sunday, I went out with the children and three of the four boys who were filled at the camp were there. They were glowing and the children’s leader who sat behind them before we went out said for the first time they were really worshipping and praising out in tongues. They then sat and soaked up every word during teaching as did everyone, I was horrified when I looked at the clock and saw I had been speaking for way longer than I planned. But not all my fault, God did add in a bit about the Holy Spirit at the last meeting. I made an invitation for the things I had taught on and practically everyone responded. Then God said, “now invite for the Holy Spirit.” Three responded so as is normal I had the three filled at camp plus a girl who was already filled and wanted to help, they ministered and prayed. The three wanting – received and all quickly spoke in tongues. The four ministering were so excited that God had used them. Also, too was one who got filled, during the refreshment time I lost count of how many times he said to me “I am so excited, I am so happy” and his face was glowing. I am not sure though whether he or his father was the more excited when dad was told about his son. I am so glad that God had His way and allowed me the privilege of being a part of an amazing conclusion to the camp one week later. This children’s conference in Bergen this year has a new leader, Cathrine who has taken up the baton from her mother. Cathrine is another who has come up under my ministry when she was a girl. Her husband Steiner has recently become the pastor of their church and her burden is to get the women’s and children’s ministry running properly. She was before the conference believing it would be the launch for the new way the children’s ministry is going to go and by the end, God had done it. We had eighteen children and as has been true throughout this trip the Holy Spirit brought the immaculate quiet attentiveness and again it was awesome. None of the children had ever met me before but in the first meeting, only two didn’t respond for salvation, a new commitment or a clean-up of the heart. In the second everyone responded to be filled and by the end, all but one was flowing in tongues. One of the older ones didn’t speak until after I had gone through my do’s and don’ts of tongues and had them speak in tongues the final time without me. As my interpreter said, many faces were radiant afterward. When Cathrine went to conclude the meeting, she was so in tears of joy she found it hard to speak. Her two daughters were in the meetings and had followed their mother and spoke in tongues. She told me Sunday that her oldest daughter Hope aged ten told her, “Mum if my bedroom door is closed please knock as I will be praising God in tongues.” The children’s leader of another church joined us with four children and her face got more and more excited each meeting then was in raptures when all of her children were filled. Afterwards, she said that she had been praying and longing for this sort of thing for children for a long, long time. An older boy who clearly didn’t want to be there and initially sat at the back facing away from us. His father almost dragged him up to sit with the others then sat next to him while he slouched in his seat the whole time. The second meeting the boy came back in on his own and went straight to the front row. He responded for prayer and when we went over time his mother came and took him out but a minute later he came back in on his own and stayed to the end. A four-year-old girl was there because her grandparents were looking after her as her parents were working and grandma was my interpreter. She sat there through everything and on the way home granddad asked her which part of the day did she liked best. It wasn’t the food or bouncy castle she said” it was when the boy was teaching us”. (I like the boy bit). Grandma rang on Sunday morning to see if she would like to come with them to their church and she bounced with excitement saying, yes very loudly. Sunday all the children sat at the front and when it came to the challenge for prayer the children’s hands were up and straight on their feet before the adults were. God gave me prophetic words for two children, Cathrine’s daughter Hope and a boy whose family I discovered have only been in the church for six months. The boy was fighting tears at the front but had to let them go when he sat down. The pastor was so elated by the conference said that next year he wants the conference to be bigger and longer and including other churches. PS – Your support and intercession means so much!